Hello 2018 - Wedding Open Day. 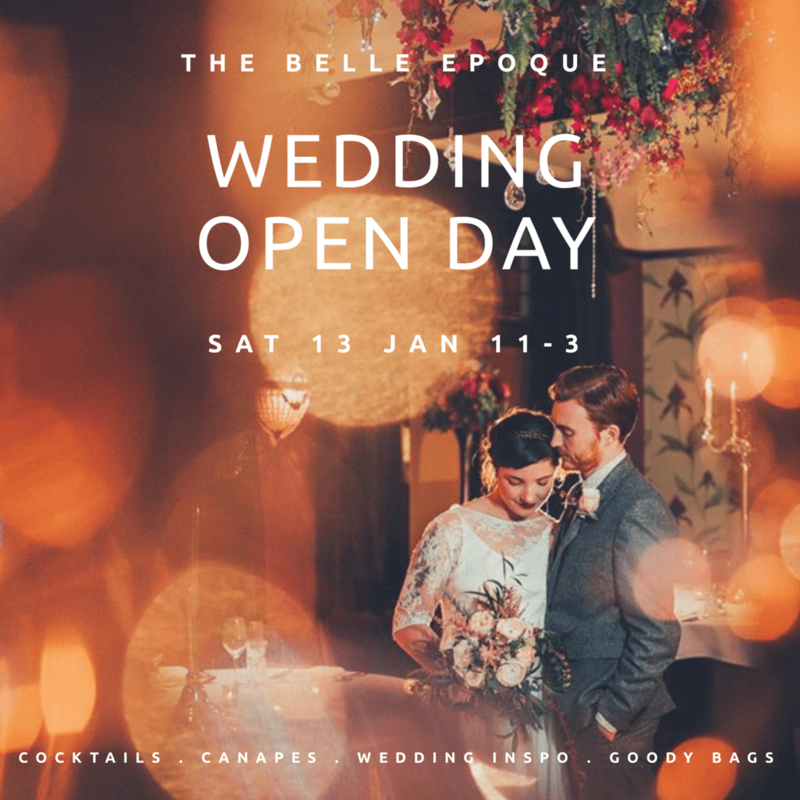 2017 was an incredible year for weddings here at The Belle Epoque. We met so many fantastic couples and we loved working with them to plan their perfect day. We witnessed outdoor ceremonies on the roof terrace, wedding cakes made from pork pies, candle lit evening soirees, owls delivering rings, confetti showers stopping traffic, dancefloors rocking, smoke flares creating photographic magic, singing waiters and too many bottles of popping champagne to keep track of! Each wedding has been completely different to the one before it – with the purpose the same, two loved up folk declaring their love in the company of their nearest & dearest. With reflection of 2017 we are so excited at the thought of what 2018 may bring. With coloured wedding dresses, metallic wedding cakes, free form floristry and edible place cards set to be big trends, the possibilities are endless! Are you embarking on your wedding planning journey? Come and join us at our Wedding Open Day on Saturday 13 January, 11-3pm. No need to book just pop in and say hello to the team. We will of course have seasonal canapés and cocktails on tap, live music, loads of cake to sample, plus some free goodies to take away.